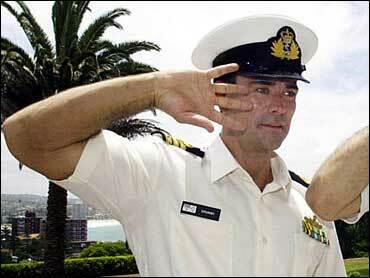 Muscular actor Trevor Goddard, a former boxer who once had a recurring role on the CBS TV series "JAG" and played a pirate in the upcoming movie "Pirates of the Caribbean," died in an apparent suicide, investigators said Monday. He was 37. Goddard's body was found in his North Hollywood home Sunday by a woman who also lived at the location, according to Officer Grace Brady, a police spokeswoman. Police said they could not disclose her relationship to Goddard. An autopsy was planned Monday but the death had already been classified as suicide with prescription drugs, said Lt. Fred Corral of the Los Angeles County coroner's office. Corral said Goddard was in the midst of a divorce and his estranged wife, Ruthann, was in San Francisco during the weekend. The couple has two young sons. Born in Perth, Australia, Goddard's work as a professional boxer led to an acting role in a beer commercial. From there he had a small role in the 1994 action film "Men of War" and played the martial-arts fighter Kano in 1995's "Mortal Kombat," based on the popular fighting video game. In 1998, Goddard began a recurring part on CBS' military TV series "JAG" as Lt. Cmdr. Michael "Mic" Brumby, a role he played until 2001. Other film credits include 1998's "Deep Rising," an uncredited role in 2000's car-theft thriller "Gone in 60 Seconds" and the role of Grapple in Disney's upcoming "Pirates of the Caribbean: The Curse of the Black Pearl."